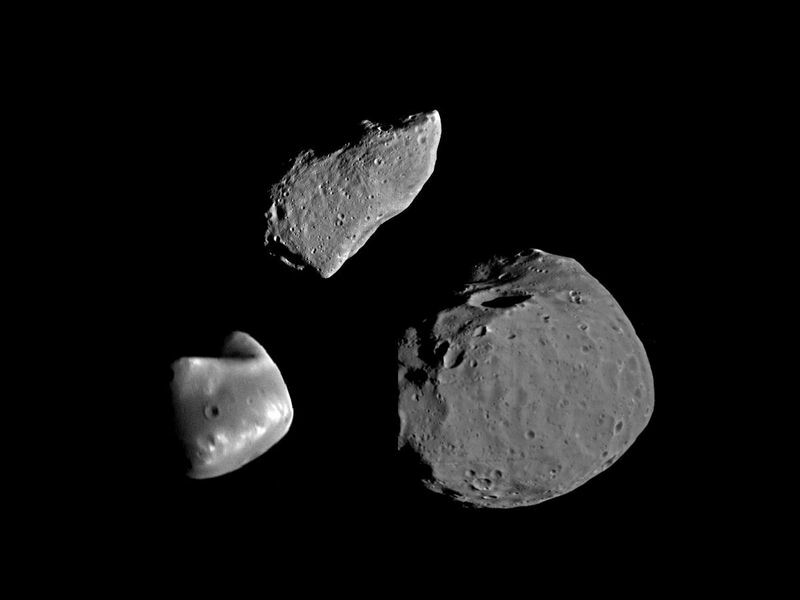 This montage shows asteroid 951 Gaspra (top) compared with Deimos (lower left) and Phobos (lower right), the moons of Mars. The three bodies are shown at the same scale and nearly the same lighting conditions. Gaspra is about 17 kilometers (10 miles) long. All three bodies have irregular shapes, due to past catastrophic conditions. However their surfaces appear remarkably different, possibly because of differences in composition but most likely because of very different impact histories. The Phobos and Deimos images were obtained by the Viking Orbiter spacecraft in 1977; the Gaspra image is the best of a series obtained by the Galileo spacecraft on October 29, 1991. 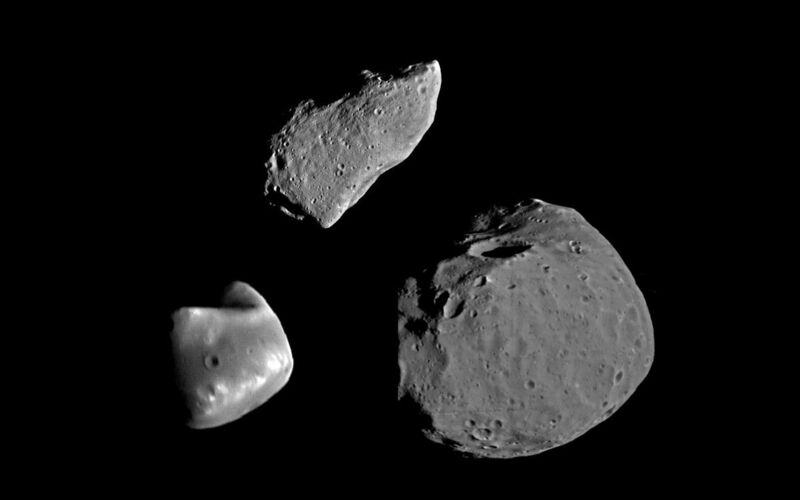 Galileo is scheduled to add the detailed view of another asteroid when it flies by Ida in August 1993. The Galileo project, whose primary mission is the exploration of the Jupiter system in 1995-97, is managed for NASA's Office of Space Science and Applications by the Jet Propulsion Laboratory.